Rock & Heavy Metal on vinyl albums from 1980s, of band-names starting with the letter "G"
Gamma 1 is the first officially released full-length album by the American Rock/Hard Rock band "GAMMA". It is the first album of a series of four albums which will be released between 1979 and 2000. Gamma 3 is the third album released by the American band with the same name. "Ronnie Montrose" was the American rock guitarist who led a number of his own bands as well as performed and did session work with a variety of musicians, including Sammy Hagar, Herbie Hancock, Van Morrison, The Beau Brummels, Boz Scaggs, Beaver & Krause, Gary Wright, Tony Williams, The Neville Brothers, Dan Hartman, Marc Bonilla, Edgar Winter, and Johnny Winter. Gamma Ray / Kai Hansen - Heading for Tomorrow . Wild Frontier is the eighth studio album by Gary Moore, released in 1987. His first studio album after a trip back to his native Belfast, Northern Ireland in 1985, this album has several songs about Ireland and even the music itself is steeped in Celtic roots. Geisha is a Danish Heavy Metal band with a touch of glam. This a compilation album of the punk-rock band Generation X. It was released in 1985 in response to the international success Billy Idol had recently achieved as well as the media interest generated by Tony James then current project Sigue Sigue Sputnik. This is the 1978 Single of one of Nilly Idol's first bands "Generation X"
"Bad to the Bone" is the 5th studio album by the American Blues-Rock band George Thorogood & The Destroyers. It was released in 1982 by the label EMI America Records and contains their best known song, "Bad to the Bone". The album also features The Rolling Stones side-man Ian Stewart on keyboards and piano. Glory Road is the third album by the British rock band Gillan, released in October 1980. The album reached #3 in the UK album charts. This is the debut album by the Alternative Rock band "The Godfathers"
"Nothing Is Sacred" is the second official full length album by the American Hard Rock band "The Godz". "The Godz" is a Hard Rock band from Columbus, Ohio, this band was founded in 1976 and started touring with bands like Kiss and "Cheap Trick" during 1977. The Go-Go's are an all-female American rock band formed in 1978. They made history as the first all-female band that both wrote their own songs and played their own instruments to top the Billboard album charts. Contraband is the 1976 album released by the Dutch Rock band Golden Earring. "Prisoner Of The Night" is the 1980 released full-length album by the Dutch rock-band "Golden Earring". 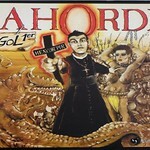 In the USA this album was released with the title "Long Blond Animal". Robert Jan Stips is a special guest on this album. "To The Hilt" is the 1976 full-length album released by the Dutch Rock band Golden Earring. 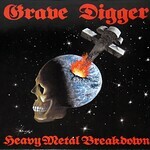 Heavy Metal Breakdown is the first (debut) Studio album by the German heavy metal band Grave Digger. Gravestone - Victim of Chains . Old-school German Power Speed Thrash Metal , this record is a must for fans of bands like Helloween, Accept, Edguy, Gamma Ray etc. Fans of IRON MAIDEN will like the guitar licks on "For a Girl"
"See You in Hell" is the debut album released by the British heavy metal band Grim Reaper in 1984 under the RCA label. 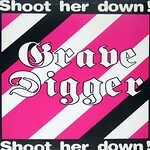 The album cover was designed by Garry Sharpe-Young. Garry Sharpe-Young was a British Rock Journalist and Graphic Designer. He has written over 20 books related to rock and heavy metal music. He designed at least two dozen of album covers for bands like: Grim Reaper. Fast Kutz, Savage and many others. "The Las Vegas Story" is the third studio album by punk blues group The Gun Club, released in 1984. 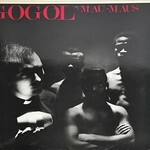 This album saw the return of founding member and lead guitarist Kid Congo Powers, after a three year stint with The Cramps. This album "THE GUN CLUB - Miami" is the second album by punk blues group The Gun Club, released in 1982. Debbie Harry appears as a backing singer on various tracks on the album under the pseudonym "D.H. Laurence Jr."
The Guns and Roses first album, Appetite for Destruction was released on July 21, 1987. In the US, "Welcome to the Jungle" was issued as its first single with an accompanying music video. The album cover depicts a newspaper article with various text written on it, alongside images. 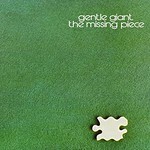 The original version of the album cover included the headines "Wife-beating has been around for 10,000 years" and "Ladies, welcome to the dark ages", which both become very controversial, due to the misogyny nature of both sentences. They were quickly replaced with "Lies Lies Lies" and "Elephant Gives Birth to Midget" respectively.